MINNEAPOLIS -- People in Minnesota have taken to calling their region The North. The handle connotes ruggedness and endurance, as well as a firm knowledge that winter will always be long and brutal but if you hunker down and weather through it, there will be a lovely payoff on the other side. Bad times will come: This you know. Because winter is always around the corner. But those times of darkness build character. The tough times make you better. This regional mentality extends to sports teams, too. For Vikings fans or Twins fans, the Minnesota Gophers or the Minnesota Timberwolves, there's a sense of fatalism that falls right in line with the rhythm of the seasons. If something can go wrong, it probably will. And when something does go wrong -- like on Wednesday, when reports surfaced that Timberwolves star Jimmy Butler was requesting a trade less than a week before training camp -- well, you were expecting it anyway, right? The Timberwolves wagered a huge part of their future last offseason on Butler and the hope that his alpha-dog, defense-first mentality would help transform the young talents of Karl-Anthony Towns, Andrew Wiggins and others into a contender. The results were mixed in the first season. The Timberwolves squeaked into the playoffs on their last game of the regular season, the franchise's first playoff appearance since 2004. But remember that on the February night when Butler suffered a meniscus injury, the Timberwolves sat in third place in the stacked Western Conference. Who knows what would have transpired if Butler had stayed healthy? What has transpired since then is this: A franchise that one year ago had as much optimism as nearly any team in the NBA is now entering crisis mode as it tries to figure out how to go forward. Should they trade Butler to one of his preferred teams? (According to reports from ESPN's Adrian Wojnarowski and The Athletic's Shams Charania, those teams are the Los Angeles Clippers, the Brooklyn Nets and the New York Knicks -- each big-city destinations with lots of cap room next offseason.) Or should they force him to play one more season with the Timberwolves with what sounds like a near-certainty that he won't re-sign next offseason, meaning the Timberwolves lose him for nothing? The Timberwolves will not be entering rebuilding mode. In Towns, they have one of the best young players in the NBA. He's the type of player teams will tank for. They are the only team in the NBA able to sign Towns to a five-year, $156.5 million max contract extension. The team has until Oct. 31 to extend him, otherwise he'll become a restricted free agent next summer. As dark as this Butler news is, the Wolves still have a player plenty of organizations in the NBA would die to have. But they also are hamstrung by the Wiggins' max contract extension that kicks in this season and will pay him about $148 million over the next five years. That's a Brinks truck worth of money for a player who is massively talented but has yet to develop into an efficient NBA player. Wiggins was famously named the NBA's "least defensive player" by FiveThirtyEight.com after the 2016-17 season. His effort and consistency changes from one game to the next, and his three-point shooting percentage took a dip last season after incremental progress. The rest of this team? They were constructed to win now, and to do so around Butler. Head coach and president of basketball operations Tom Thibodeau has collected Butler's former teammates from the Chicago Bulls -- including Taj Gibson, Derrick Rose and Luol Deng -- to appease Butler and to win now. 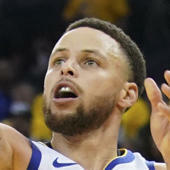 The team added vital three-point shooting pieces in the offseason, including Anthony Tolliver (43.6 percent from three last season) and James Nunnally (55.4 percent from three in the EuroLeague last season), to change the culture of a team that ranked last in the NBA in three-point field goals a year ago. And Wolves sources say they're excited about the versatile two-way potential of both of their 2018 draft picks, Josh Okogie of Georgia Tech and Keita Bates-Diop of Ohio State. But these storylines are all around the margins. Jimmy Butler's trade request immediately turns a team that could have possibly hosted a home playoff series this coming season into a franchise that's heading backward. Maybe they can get something in a trade for Butler. The Clippers have an abundance of backcourt talent; Lou Williams recently signed a team-friendly three-year extension, and Shai Gilgeous-Alexander is an intriguing young point guard who, like Towns, has the John Calipari connection. Perhaps the Knicks would part with one of their young talents -- recent draft pick Kevin Knox, another Kentucky product, defense-first point guard Frank Ntilikina -- though the Knicks president recently said the Knicks would not trade assets for players they can get in free agency. And the Nets have former No. 2 pick D'Angelo Russell, who hasn't developed as some expected, and talented young big man Jarrett Allen, who presents a questionable fit next to Towns. Or maybe the Timberwolves can ignore Butler's requested teams and send him elsewhere. And all that might be moot, as Wojnarowski has reported that Thibodeau does not want to trade Butler. If he isn't traded, the Timberwolves will be able to offer him a five-year, $190 million deal, while a new team could only offer him four years and $141 million. The Timberwolves made the playoffs last season for the first time since 2004, and you'd think the fan base would have been thrilled about that, and about the trajectory of the team. That wasn't the case. There was always the feeling that something was going to go wrong. Butler's February injury gave Timberwolves fans good reason to continue their fatalism. And now Butler's September trade request affirms what sports fans here have known all along: Even when things are looking sunny, winter will soon come. Now the Timberwolves need to figure out how this massive short-term setback can, somehow, build this franchise's character in the long term. Truth is, there's no easy answer.